Dans ce billet, notre blogueur invité Gary Myers (@KMbeing) plaide en faveur d’une meilleure intégration des services à la recherche, de la mobilisation des connaissances et du transfert technologique. Une véritable intégration, depuis la demande de subvention jusqu’à l’impact de la recherche : voilà un nouveau paradigme pour le fonctionnement de l’Université. Ce billet a été publié sur le site Web de Gary Myers, www.kmbeing.com, le 15 février 2014. Vous pouvez le lire à l’adresse suivante : http://kmbeing.com/2014/02/15/a-new-university-paradigm/. Universities are considered one of our most reliable and cherished knowledge sectors with great expectations of delivering quality education and world-leading research. There has been increased pressure on universities for financial income and resources along with increased pressure from government granting agencies that expect a valuable public and/or private return of investment for providing research funding. With the creation of CIHR in 2000, Canadian health researchers were required to articulate knowledge translation strategies in their grant applications. Some NSERC funding programs require commercialization strategies. In 2011 SSHRC launched its renewed program architecture which requires all grant applications to have a knowledge mobilization strategy. This created an expectation that universities will effectively address social and economic issues and spend their money wisely – along with a mandate from the granting councils to incorporate knowledge mobilization and technology commercialization strategies into research grant applications. So why aren’t some universities still not doing this? If universities are to deliver the most promising benefits of knowledge and research for society and meaningfully follow funding guidelines an approach needs to be considered about how research is conducted. This approach needs to include those inside and outside the university who contribute to the research and social/economic innovation process. This is where knowledge mobilization comes in. Yet many universities still have an unenthusiastic and unresponsive attitude to integrating knowledge mobilization and social innovation strategies into the university structure itself. Many universities still do not have an actual knowledge mobilization unit within their university, or worse have a great misunderstanding of what knowledge mobilization actually is and how to do it successfully – which is also often the reason why they fail to receive funding from granting agencies and continue to struggle financially. The old university paradigm of receiving funding without a knowledge mobilization strategy is dead. Universities see themselves to be in a risky situation as a result of economic pressures combined with increasing demand for quality research to provide social benefit. In a climate of uncertain funding and a greater demand for valuable research, understanding how knowledge mobilization can bring opportunities to improve research, create social and economic innovation and affect government policy needs to be considered. When this is done it leads to important social and economic change. Community-University partnerships and engagement are not new and have been around for at least a decade. Some examples include CUPP Brighton UK, CUP Alberta, Canadian Social Economy Hub, Emory University Center for Community Partnerships, and Concordia University’s Office of Community Engagement. In an informative journal club post David Phipps also discusses Mobilising knowledge in community-university partnerships. So some universities get it and are definitely ahead of the game as the public sector benefits from these community-university collaborations. Yet there are other universities who continue to ignore the broader benefits of such synergies. This is where greater work needs to be done to help the universities who continue to be stuck in old academic-infrastructure paradigms and help sustain community-university partnerships programs that do exist by the institutions themselves. Developing long-term knowledge mobilization and social innovation strategies involves commitment and greater cooperation from all bodies of the university – staff, students, faculty, deans, vice-presidents, and governing councils; and most importantly from the university president. It’s about multi-disciplinary and inter-departmental conversations to provide differing views from varying capacities to create an academic environment that provides social benefit that includes engagement within and beyond the walls of the university from many directions. The greater return on investment for social benefit requires a broader approach to have faculty, university research services, knowledge mobilization unit knowledge brokers and university industry liaison offices work together across sectors instead of as separate university contacts and entities. A great start of this integrated approach comes from the University of Alberta which has amalgamated the Industry Liaison Office, the Research Grants Office and components of Research and Trust Accounting into an integrated Research Services Office. U of A thinks “the move to a “one-stop shop” provides researchers with more effective and streamlined services, with enhanced accountability and productivity.” However, a truly integrated approach that maximizes the impact of university research would also include a knowledge mobilization unit. Canada has ten universities that are part of ResearchImpact – a knowledge mobilization network with further examples of such integrated structures. UQAM engages both research services and technology transfer in their support of knowledge mobilization; Offices of research services at both Wilfrid Laurier University and York University include technology commercialization as well as York’s KMb Unit as research grant support; and University of Victoria combines research partnerships and knowledge mobilization (but this does not include grants). Another interesting pan university approach to supporting innovation is the appointment of Angus Livingstone and Innovation Catalyst. Formerly head of the UILO, Angus took up this new post in February 2014. It is too early to know what impact this new position will have but one can only hope that it embraces social as well as economic and technology innovation. A further set-back for Canadian universities is the recent Canadian government announcement in its 2014 budget of a $10-million College Social Innovation Fund connecting colleges with community-based applied research needs of community organizations. Colleges and polytechnic institutions have traditionally been places for trade learning and apprenticeship. It now looks like they are stepping up into the league of universities to create social and economic innovation. It may be great news for colleges – not so much for universities; especially those who haven’t already started community-university engagement. This infusion of capital into Canadian colleges for social innovation development has set back any future benefit and funding for Canadian universities who have not yet understood the connection between knowledge mobilization and social innovation, thereby creating a missed opportunity for certain universities to gain the lead on investment in knowledge mobilization and social and economic innovation. As the saying goes…you snooze, you lose! So is your university a winner or a loser? Combining university knowledge mobilization units with university research services and industry liaison offices that engage with both community partnerships and business innovation opportunities all in a “one-stop-shop” can bring great returns on investment – socially and economically – for universities and communities – but some universities are sadly still far behind. This blog post was originally published on the Agri-Food and Rural Link blog on February 18, 2014 and is reposted here with permission. Ce billet a été publié sur le blogue Agri-Food and Rural Link le 18 février 2014. Il est repris ici avec la permission des auteures. As practitioners in the field of knowledge mobilization, we tend to work from the value assumption that research knowledge should be shared. And that knowledge should be shared as openly and freely as possible. But what happens when researchers are working with genetically identifiable human tissue samples stored in biobanks? On January 24, 2014, the Guelph Knowledge Translation and Transfer (KTT) Community of Practice set out to explore this very question. Dr. Kieran O’Doherty from the Department of Psychology at the University of Guelph walked the group through an eye-opening and informative presentation about the social and ethical implications of biobanks with regards to knowledge translation and transfer. In the KTT field, we try to move information into active service as evidence-informed practice and policy. We also try to move community-level information and knowledge to inform research questions and directions. From a societal or ethical standpoint we can also see that some information is not always suitable for mobilization or dissemination – for example, identifiable information that violates research participants’ rights to privacy. The tensions between privacy and open data are particularly clear in the case of biobanks. 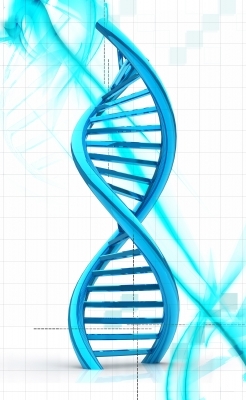 Genetic material is inherently identifiable – linked to each of us through DNA code. Biobanks of human tissue are collections that may be used for research as well as other purposes (e.g., criminal investigations). That is, biobanks allow researchers access to genetic material for research purposes, circumventing the need to recruit human participants. Although some biobanks have existed for decades, the combination of advances in genomics and bioinformatics are opening up new avenues for research and health care, yielding genomic knowledge at both the individual and the sub-population or population level. For the most part, research ethics policies have struggled to keep up with these advances. Current frameworks may both impede effective biobank operation and at the same time lack adequate protection for research participants. How would researchers ensure that there is informed consent for future and unknown use of a tissue sample? But how realistic is it to re-contact donors before each research project? Especially when samples collected may continue to be used decades after the original collection point? Biobanks invoke a lot of difficult questions. A research project may incidentally discover that the donor of a particular tissue sample is at risk of disease. Would you want to be told if you are at risk? Would you be willing to keep your name associated with your tissue sample if you could be informed about such risks? What if that information was also shared with employers or insurance companies or linked to your health records? Do you retain ownership of tissue that you donate? What if the tissue is used in a discovery that makes a lot of money? 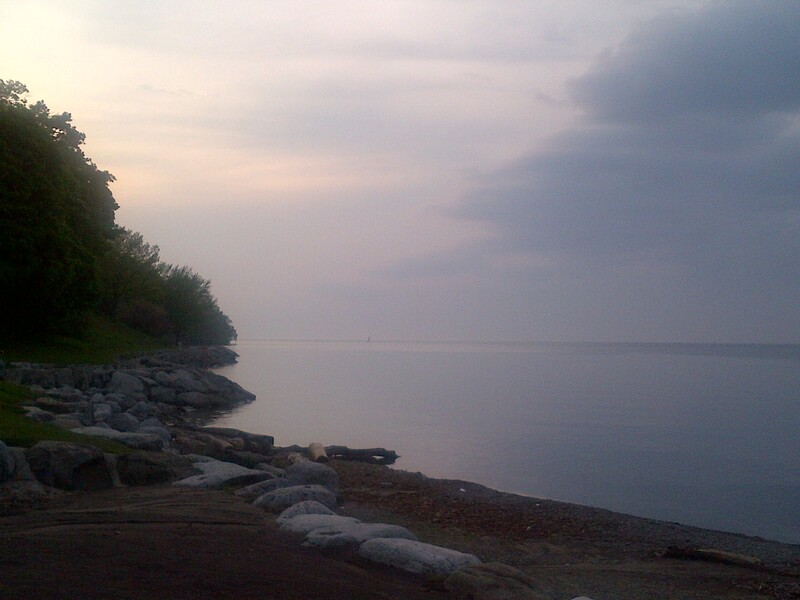 One concept that the Guelph KTT CoP group discussed that seemed to resonate with both the ethical challenges of research associated with biobanks and with the knowledge mobilization questions raised about this type of research was the notion of stewardship. By developing and maintaining carefully thought out stewardship plans for the genetic materials contained within the biobanks, the research and data management protocols, and the subsequent KTT activities coming out of the research, biobanks can play an important role in life science research. The word stewardship, by its definition, implies the responsible and careful management of something entrusted to your care (Merriam-Webster, n.d.). There are no single answers to the question that this discussion raised. But the dialogue and discussion of these issues as a society is essential as biobanks are an important part of our research futures. Mobilizing and stewarding knowledge, one genetic marker at a time. 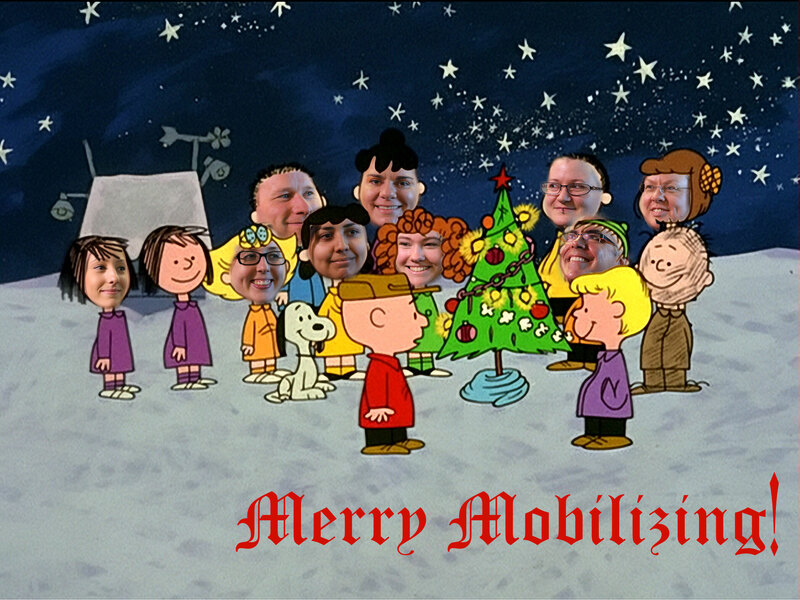 Merry Mobilizing from the KMb Unit at York! Knowledge mobilization is an emerging field of practice, and there are currently relatively few explicit knowledge mobilization training opportunities for undergraduate and graduate students. However, this perceived gap is due, in part, to a naming problem – although relatively few students are aware of jargon related to KTT and KMb, students engage in KTT and KMb activities relatively often. At the Institute for Community Engaged Scholarship at the University of Guelph, we are trying to overlay the vocabularies associated with KMb and KTT on student work related to curating, sharing, and exchanging information. In some cases, this takes the form of social media accounts, but this can also relate to logistics surrounding intra-organizational KMb – in this case, our in-house updates to graduate student interns. We present here two reflections on both beginning KMb work and labeling that work as KMb. This week we hear from Brianne Brady. La mobilisation des connaissances (MdC) est un domaine qui émerge à peine dans le champ universitaire, et il existe à l’heure actuelle assez peu de possibilités de formation destinées aux étudiants des universités qui lui soient explicitement consacrées. Cependant, cette perception d’un manque est attribuable en partie à un problème de dénomination : bien que le jargon de la mobilisation, de la transmission ou de l’application des connaissances ne soit familier qu’à un nombre relativement restreint d’étudiants, ceux-ci mènent pourtant assez souvent des activités qui relèvent de ces domaines. À l’Université de Guelph, l’Institute for Community Engaged Scholarship s’efforce donc de recouper le vocabulaire de la mobilisation et de la transmission des connaissances avec celui de travaux d’étudiants qui portent sur l’organisation, la diffusion et l’échange d’information. Dans certains cas, cela prend la forme de comptes rendus dans les médias sociaux. Mais cela peut concerner également la logistique de la MdC au sein d’une même organisation, et prendre la forme, comme c’est le cas ici, des mises à jour que nous préparons à l’interne pour nos stagiaires des cycles supérieurs. Les deux commentaires que nous présentons abordent à la fois les premières étapes d’un travail de MdC et la reconnaissance de ce travail en tant que mobilisation des connaissances. Nous accueillons cette semaine Brianne Brady. I am a third year undergraduate Bachelor of Science student majoring in Psychology: Brain and Cognition with a minor in Family and Child Studies at the University of Guelph. This summer I had the amazing opportunity to work as a knowledge mobilization assistant. I worked for an incredible individual who was passionate about her job as a knowledge mobilization specialist and explaining what knowledge mobilization is all about. I worked for the Institute for Community Engaged Scholarship at the University of Guelph, in Guelph, Ontario. I facilitated the distribution of information and updates through email to graduate student interns. The graduate students were interns who volunteered about five hours a week in community-based research and knowledge mobilization positions. I compiled information about new and upcoming opportunities potentially of interest to the graduate students. I used email communication to transmit the information from those who sent it to me to those who could benefit from having the information. The graduate student interns were sent information about upcoming jobs, volunteer positions, conferences and other opportunities in knowledge mobilization. 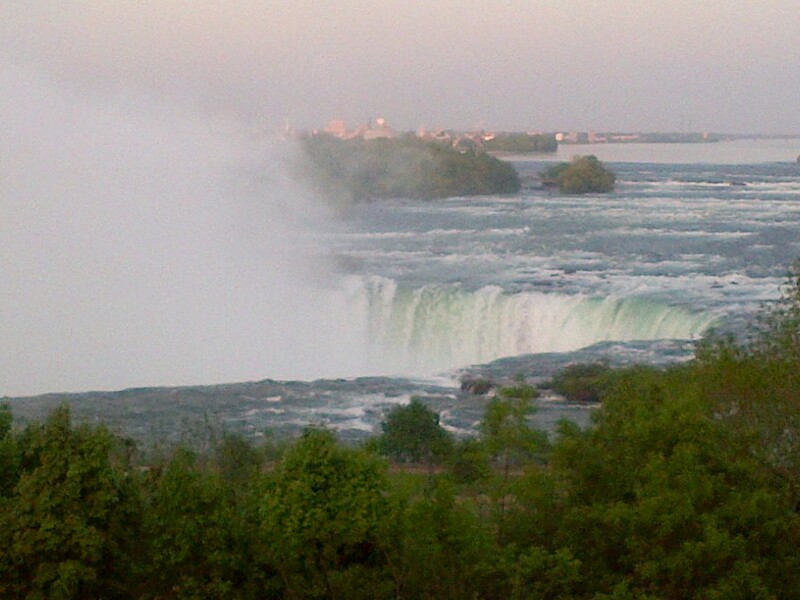 Working as a knowledge mobilization assistant, I gained many new experiences and new skills. My communication skills were enhanced through this experience as I used email communications to relay the information. My organization skills improved through my experience this summer as I had to organize the information is a coherent manner. I gained a basic understanding of the importance and advantages of sharing knowledge and research between individuals and organizations. I learned how to effectively compile information and organize the information. I gained skills in knowledge mobilization and I gained skills in understanding how to connect people and information. Through my experience as a knowledge mobilization assistant, I gained a basic understanding of the importance and advantages of sharing knowledge and research between individuals and organizations. This summer, I experienced the bridging of the gap between knowledge and application. Working as a knowledge mobilization assistant I also gained a better understanding of the opportunities available within my field of study. This experience allowed me to discover knowledge mobilization as an entire new field of work that I did not previously know about. I discovered this interesting field which I might now purse as I further my education. Knowledge mobilization is an amazing area of work because it helps bridge the gap between people and information as well as it connects people. I learned about how when people share information it creates a community of people and everyone within the community benefits from the information sharing. When people share information everyone involved benefits from the connections and information and this I learned through my experience as a knowledge mobilization assistant this summer. This experience was truly an enriching experience and the best experience I have had thus far in my undergraduate degree.